This blog follows migration by sea from Africa to or towards Europe and other significant maritime migration routes which end in the European Union, such as Turkey to Greece and Albania to Italy. The blog focuses on the subjects of maritime immigration enforcement, rescue at sea, and refugee and migrant rights and protections. Significant maritime migration events elsewhere in the world are noted from time to time. The blog’s editor is Niels W Frenzen, a clinical professor of law at the Gould School of Law, University of Southern California, in Los Angeles. He specialises in refugee law. Prior to joining the USC faculty in 2000 he practiced law in Los Angeles and Miami where he represented asylum seekers and participated in legal challenges to the maritime interdiction practices of the US Government in regard to Haitian boat people in the 1980s and 90s. He is a member of the Bar in California and Florida and a member of the Law Society of England and Wales (without an active practising certificate). He is a citizen of Finland and the US. 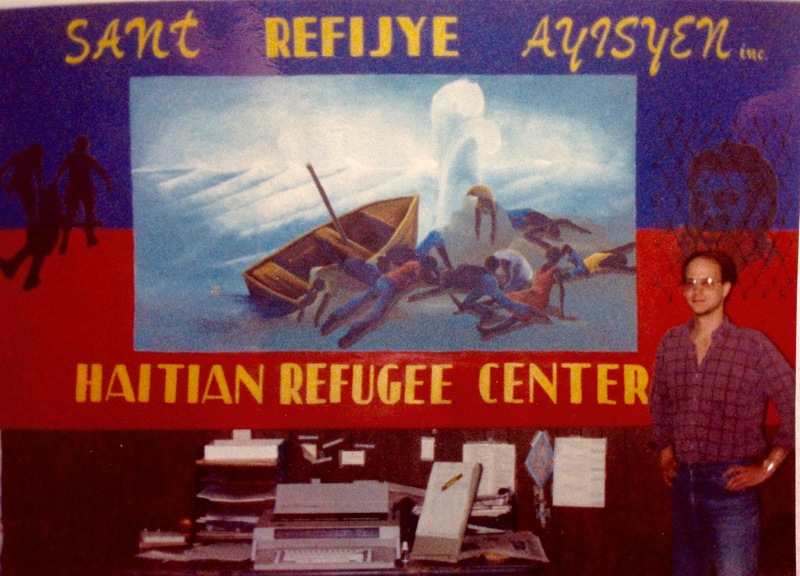 Me in 1986 – Haitian Refugee Center, Miami.